Is automotive technology really advancing at a rapid pace? 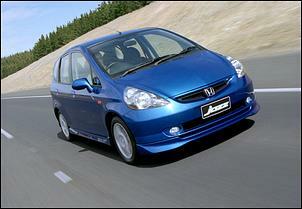 Are genuine and real breakthroughs occurring that are revolutionising the car? Here the author argues that in fact what we are seeing is just more of the same, changed slightly. Incremental improvements of traditional technology dominate the car world, for all the glitter and applause that surrounds loudly-trumpeted new technologies. This article was first published in 2003. Nothing has changed since. 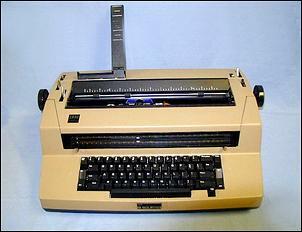 Today I bought an electric typewriter. I often buy old dot matrix and daisy wheel printers and then pull them apart - salvaging the stepper motors and the wheels and pulleys and switches - but I actually prefer to acquire older electric typewriters. These machines have really hefty mechanicals - you can almost judge by picking them up how useful the insides will be. The heavier they are, the better the quality of the components. 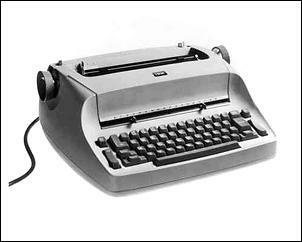 But the typewriter that I bought today for $6.55 was something different - an IBM Selectric. Better known as a "golf ball" design (the printing element is shaped and sized like a golf ball), I'd never had one apart. But when I attempted to lift the thing, I just knew that there had to be some fantastic goodies inside. But when I got it home I had a helluva shock - inside it was absolutely nothing like I'd imagined. Instead of a bunch of printed circuit boards and a few electric motors, it proved to have the most incredibly complex mechanicals. There are long levers for every key (that's right, no keyboard switches! ), cams, cables, gears (both spur and bevel), rods, bearings, tracks, springs, shafts, a bell, belts, clutches, an enormous cast chassis - what must total literally thousands of parts assembled to form the most complex electro-mechanical device I have ever seen. In its mechanical complexity this typewriter makes an auto trans look like the sort of thing that you give a six-year-old to put together. And apart from the single AC electric motor (and its associated starting capacitor and a switch), there are no electrics inside at all. So much for the idea of multiple stepper motors, microswitches, LEDs, DC motors and all the rest I was envisaging! Simply, this must be the ultimate in mechanical typewriter technology. The printing ball, with all of the letters of the alphabet sitting proud on its surface, is apparently tugged and swivelled into position by wires and cables, with an incredibly complex pre-selector mechanism used to move the cables just the right amount. The design must have been an absolute nightmare to create - let alone build - but despite the high original cost, the Selectric was a very successful machine for IBM. Think about that Selectric typewriter design for a moment. Apart from an electric motor, there are absolutely no electricals or electronics inside that elegant case. No logic circuits, no memory, no LCD display, no monitor, no stepper motors, no transistors. The motive power for the machine could have easily been supplied with pedals as by an electric motor. Looking inside the Selectric, you can't help but be dumbfounded by how far IBM engineers pushed mechanical technology for printing letters on paper. But by the time 'my' machine appeared, it was all to no avail. Just a few years later, the levers and rods and cams and geartrains counted for nought: electronic typewriters with memory and far more advanced printing technologies had arrived. Almost literally overnight, the mechanical might of the Selectric had been completely outclassed, outwitted, out-technologised by a brand new way of doing things. Cars have experienced no such typewriter-style overnight technological revolution. 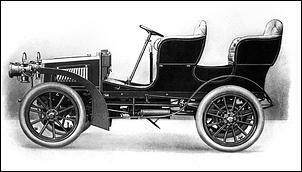 In the hundred-odd years that cars have been in existence, their evolution has been only incremental. Over the whole of that time, no revolution has occurred. Yes electronics has made a major impact on automotive technology - but for a change of the magnitude that occurred in typewriters to apply to automotives, we'd have altered in less than a decade from driving cars powered by four-stroke internal combustion engines to (say) electric cars featuring batteries that'd fit in your pocket. So what's on the horizon that could spell a Selectric-ending change to our current automotive technologies? Despite our enthusiasm for hybrid cars, for hydrogen and for electric propulsion, I don't think that there's anything remotely close to achieving the equivalent of an electronic typewriter revolution. And curiously, a major reason for that is that the Selectric-style automotive engineers are just so good at improving what they're already working on. These days the engineering automotive equivalents of those who developed electronic typewriters are working on hybrid cars - cars with a mix of old and new technology. Hybrid cars can use existing fuel-delivery infrastructure but still show technological breakthroughs like brilliant economy and emissions performance. Trouble is, those breakthroughs are really quite borderline - and made increasingly so by the traditional engineers that keep right on lifting the bar. Just as the Selectric engineers must have once shrugged at coming memory typewriters (they, too, could add memory to their golf ball typewriter - and they did, with a magnetic card version), so the engineers working on traditional automotive technologies aren't giving up without a fight. Or take the high pressure direct injection turbo diesels from Peugeot and Citroen which are able to deliver supreme fuel economy with only a relatively small cost and performance premium over the petrol equivalents. I'd much rather be driving a Peugeot HDi 406 than a Toyota Prius, no matter how much I admire the Prius's hybrid technology. Each time the alternative technologies get a jump in performance (although, significantly, not in cost), right along behind come the traditionalists, still using that hundred-year-old evolving technology to such great effect. A petrol/air mix that is ignited inside the engine and which pushes down on the piston to turn a crankshaft, which then works through a gearbox to drive the wheels - it's been a car constant in a world of change. It's the Selectric approach to automotives - develop and optimise and push the boundaries of the current technology. The breakthrough hasn't come in 100 years, and there is nothing on the horizon that is truly significant. Of course, perhaps next year there will be a genuine, earth-shattering innovation. Perhaps....but much more likely, not. It's easy to admire the technology of direct fuel injection and 42-volt starter/generators and fuel cells and hydrogen-fuelled engines and variable valve timing and stability control and navigation systems and hybrid technologies.